Valentines Day is the best day to express your love and feelings to your beloved ones. Use our collection of Hug Day Messages to say Happy Valentines Day to your significant other, friends or family members. 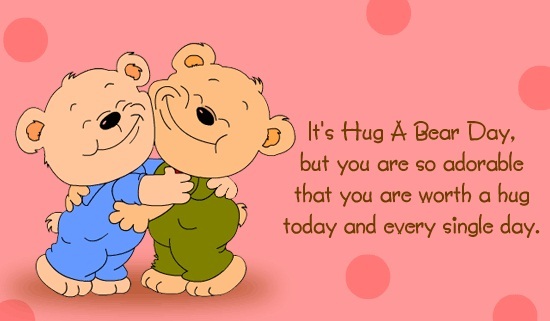 웃♥유()__() ( . . ) BEAR (    ) HUG!! 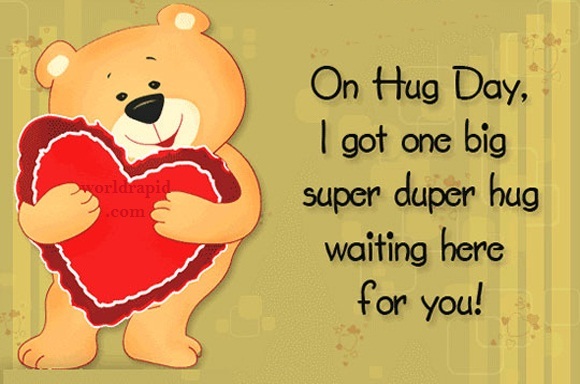 (_)-(_) Happy Hug Day to my dear girlfriend..
웃♥유A hug can say i will miss you.`it can say ur special,`or best of all,`i love you.`it can soothe a hurt,`or calm a fear,`or cheer us`when were blue.`So here a hug for you. 웃♥유A hug delights and warms and charms, That must be why God gave us arms. One size fits all. It can be given for any occasion And its easy to exchange. 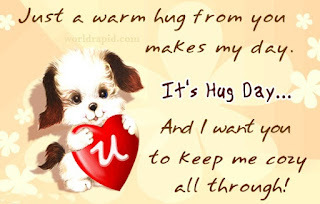 웃♥유A hug is a handshake from the heart.So always remain close to my heart and best wishes on this hug day. 웃♥유A sweet friend is like a pillow When you are tired you sleep on it When you are sad you drop tears on it When you are angry you punch it & When you are happy you hug it. 웃♥유After An Emotional Hug, Girl whispers to Boy: If You Hug Me once More Like that, I will be yours forever. Boy: Thanks FOR THE WARNING! 웃♥유Alone? Ill be ur shadow. Want to cry? Heres my shoulder. Need a hug? Ill hold you tight. Bcoz where ur strength ends, My worth of being ur love begins. 웃♥유Close your eyes.hug the air.listen 2ur heart beat.im there in front of you,hugging you back,listening to our hearts beat as 1. 웃♥유Cutest proposal ever by a boy of 5th standard- Boy- Do you hug ur teddy bear while sleeping at night?? Gal- Yes! Boy- Can I replace it for the rest of ur life?? ?? 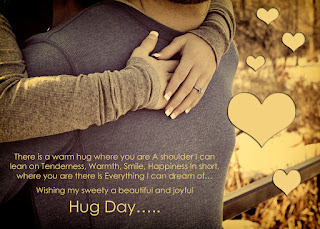 웃♥유God has gifted me these arms, So that I can delightfully hug you and fill you up with charm Happy Hug Day. 웃♥유Got a gift for you! No cost! No batteries required! Tax free, Performs silently, extremely personal! Fully returnable! 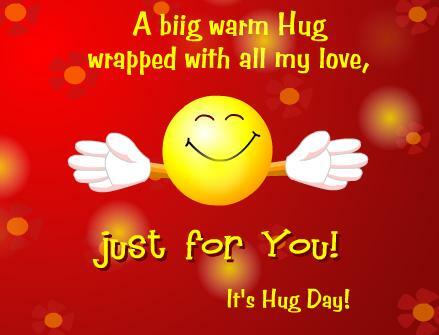 Its a hug from ME to You!! 웃♥유HERE IS A FREE HUG FOR YOU! Keep it going by passing this hug on to your friends. 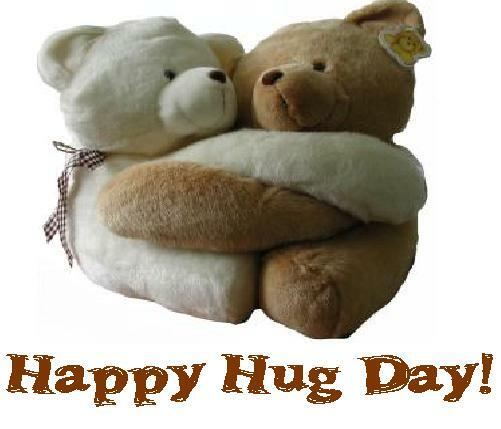 Enjoyable Hug Day. 웃♥유Hug is the loving gift that costs no money and can be distributed for free to make the love grow. Love you honey on the hug day. 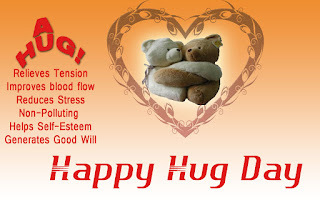 During the lowest phase of your life a simple hug from that special someone can turn your tears to joy.Happy Hug Day. 웃♥유Hug someone you love and tell how much you care because When they are gone no matter how loud you shout and Cry they wont hear you anymore. 웃♥유Sometimes a hug speaks volumes When someones feeling low And more then words are needed To set a heart a glow. .. For smiles can be given to any one but tears are only shed for people we Hug. .. I hide my tears when I say your name, but the pain in my heart is still the same. 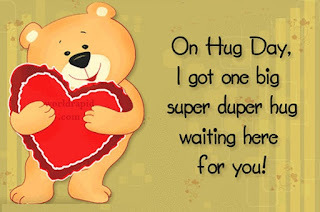 Although I Smile and Seem Carefree, There is no one Who misses you more than ME!Happy Hugs Day dear. 웃♥유This hug will make you feel SO GOOD! Can you feel it? I KNEW YOU COULD! Best wishes to you on this hug day. 웃♥유What the heart gives away is never gone, but kept in the hearts of others, from dusk to dawn. 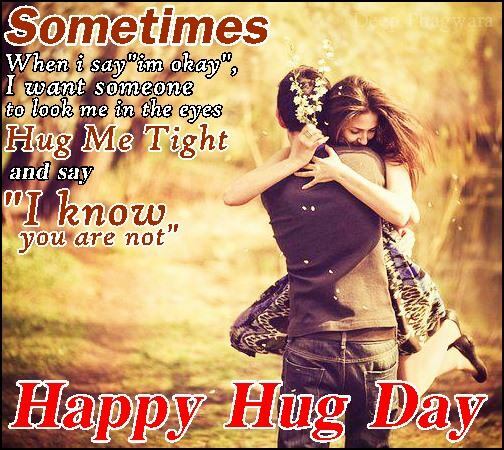 Hug Day you from the core of my heart. 웃♥유When my arms cant reach people Who are close to my heart, I always hug them with my prayers. May God grant you What ur heart desires and keep you happy..
웃♥유Worrying doesnt reduce Yesterdays sorrow But it empties todays strength So dont worry Be happy and HUG the life with a smile. 웃♥유You cant wrap love in a box, But you can wrap a person in a hug. 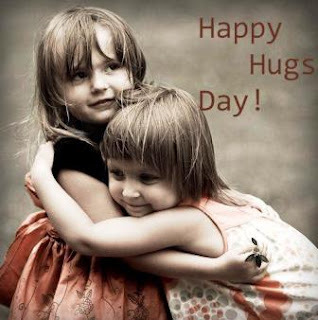 A hug charms,warms And makes everyone happy. That must be why God gave us arms. 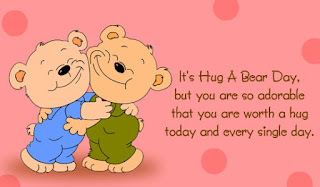 So here is a hug for you. 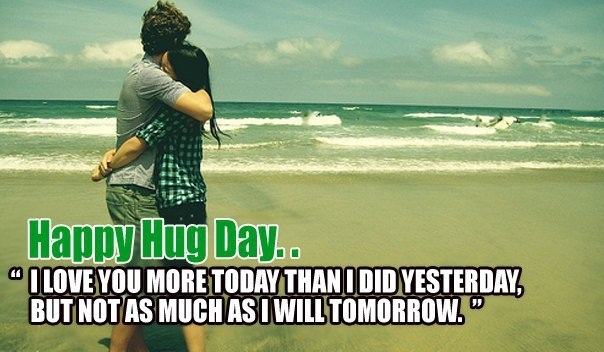 We have the best collection of Hug Day Messages. You can send the pictures of Valentine's Day Greetings to the ones you love for free. 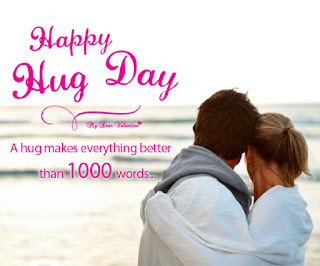 You can also use our unique collection of Hug Day Messages, definitely those are great and can be considered as the one of the most famous ways to make someone understand how much you love him/her.